Frozen Fruity Lemonade. What Could Be Easier? This recipe gives you room to be creative! Frozen Fruity Lemonade INGREDIENTS 4 oz. water 4 oz. Big Train Lemon Cooler Fruit Tea Blast 1 oz. any Monin Fruit Flavored Syrup PREPARATION 1. In a blender, add water, Big Train Lemon Cooler Fruit Tea Blast, Monin Syrup and ice. 2. Blend until smooth. Oh so luscious. Who can resist this? Not us! Iced Tropic Nut Macchiato Recipe INGREDIENTS 1/2 oz. Monin Coconut Syrup 1/2 oz. Monin Macadamia Nut Syrup 7 oz milk 2 shots espresso ice PREPARATION 1. Combine ingredients in a shaker in the order listed. 2. Cap and shake vigorously until well combined. 3. Pour into serving glass and garnish as desired. All American Lemonade INGREDIENTS 3/4 oz. 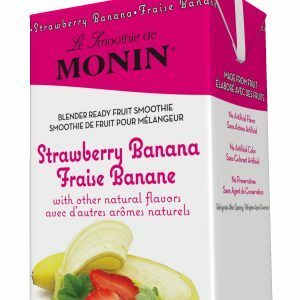 Monin Raspberry Syrup 3 oz. Cranberry Juice 4 oz. Lemonade Mix PREPARATION 1. Mix ingredients and serve over ice in a 16 oz glass. 2. Garnish with lemon wedge and fresh cranberries. Here's another classic summer recipe sure to please your taste buds! INGREDIENTS 2 oz. Big Train Strawberry Sensation Fruit Tea Smoothie Blast 2 oz. Big Train Lemon Cooler Fruit Tea Smoothie Blast 4 oz. water ice PREPARATION 1. Combine all ingredients into a blender and blend until smooth. 2. Pour into serving glass and garnish as desired. 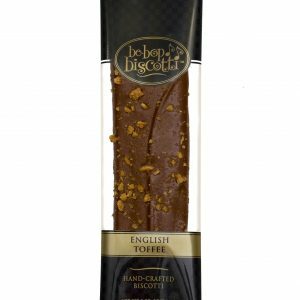 RECIPE TIP: If you want to have an eye catching, layered affect to your drink, then you will need to separately blend 2 oz. of each smoothie blast concentrate with 2 oz. of water and 8 oz. of ice. Once blended, pour them together to create the layered affect you desire. Here's another Monin recipe you'll love! INGREDIENTS 1/2 oz. Monin Blackberry Syrup 1/2 oz. Monin Peach Syrup 8 oz. fresh brewed Orinoco Iced Tea HOW TO PREPARE Fill serving glass with ice. Add remaining ingredients and gently stir to combine. Garnish as desired.